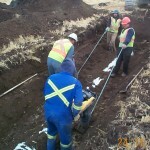 The RID has completed construction of the Stirling #12 pipeline. 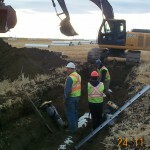 This project is located approximately one mile west and running two miles south of the Village of Stirling. 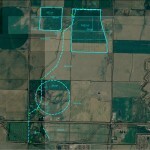 The project includes water delivery to 994 acres of irrigated land. 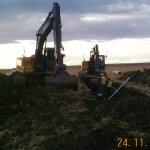 All the work was done by RID forces and was ompleted in time for the 2012 water delivery season.